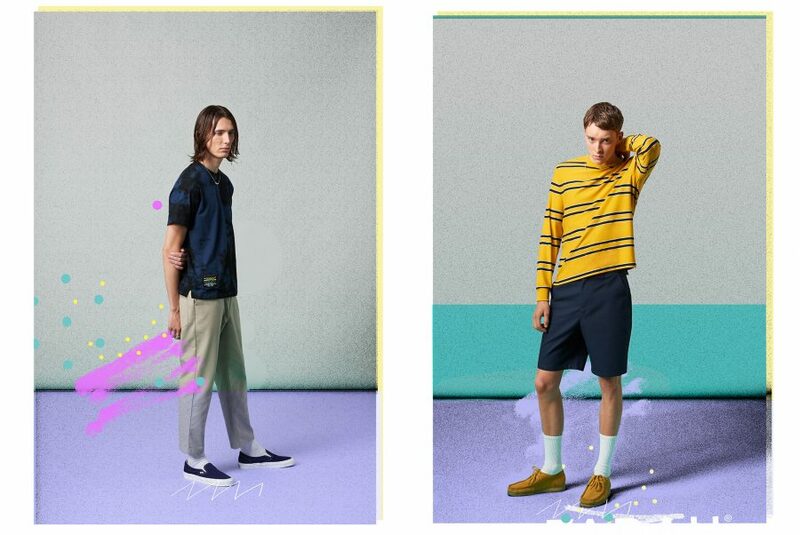 For SS19, Farah pays homage to the last great musical revolution: acid house. Originating in Chicago in the mid-1980s, the irresistible synth sounds were exported to the sun-bleached beaches of Ibiza where, the story goes, three British DJs were mesmerised by the stripped-back synths, pounding bass and soulful lyrics that had revellers dancing till dawn at legendary clubs Amnesia, KU and Pacha. After their holiday they decided to bring the sound of Ibiza back to the UK and the rest, as they say, is history. The DJs were Danny Rampling, Paul Oakenfold and Nicky Holloway, and their trip would revolutionise the sound of popular music forever. Rampling and co. played their own brand of techno, combining the sounds of Chicago with Ibiza’s Balearic beats. Acid house was born. The scene began to flourish, first at unlicensed outdoor raves then through the trio’s own club nights Shoom and Trip. Word of this new underground phenomenon travelled quickly and soon club nights began to appear up and down the country. 30 years on and every corner of contemporary culture continues to be influenced by the late-80s dance revolution. 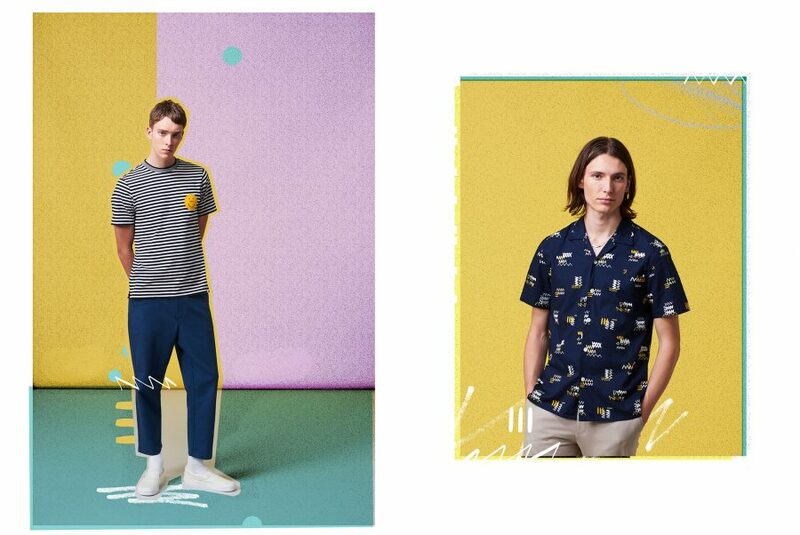 For SS19, Farah takes its inspiration from the creativity and energy of this time, artfully blending it with the brand’s signature style to bring you The Trip, a journey through acid house. The collection distils the mood and musicality through colour, pattern and silhouette. Era-defining moments are reimagined in the signature graphic style of club posters and flyers, which lend an honesty and authenticity to the collection. Colours consist of brick red, burnt orange and sunrise, complementing the inevitable acid yellow. Deep bottle green combines with bright turquoise and soft ultramarine to provide an easy alternative to the array of go-to blues which anchor the collection. Neutral tones of bleached white and sandstone sit alongside hues of beige, offering a counterbalance to the saturated summer brights. 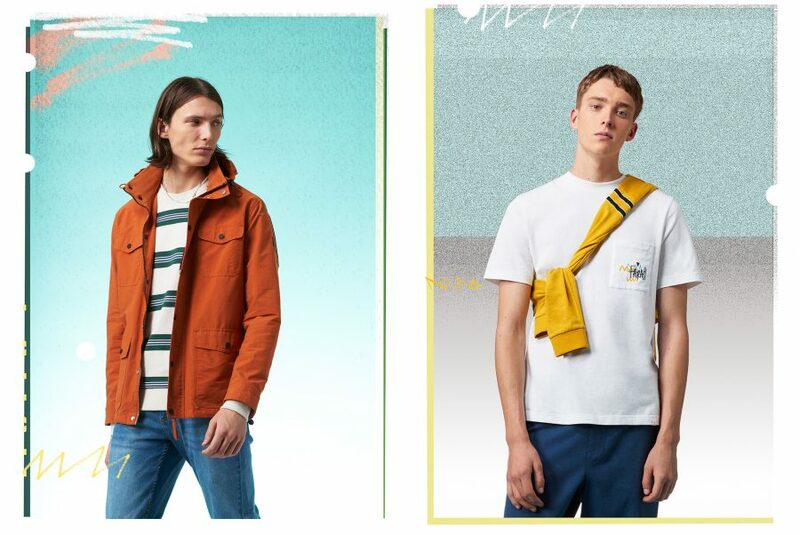 Key highlights include: The newly minted Hopsack trouser has been completely remodelled for SS19. It uses Farah’s new stretch hopsack cloth and is available in seven classic colours in honour of the trouser it is based on. The branding includes reworked versions of the iconic F tab and the original 80s back patch. 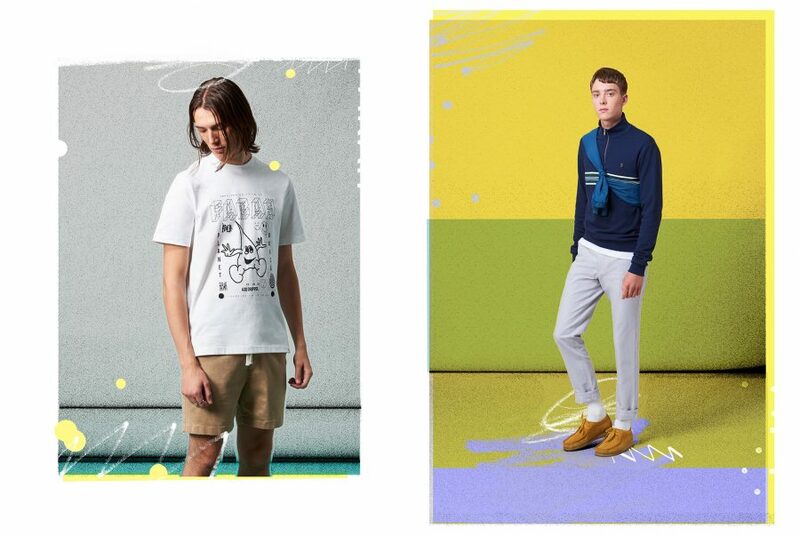 Prints are an essential part of the offer, and offering a nod to the key design influences that inspired the collection. 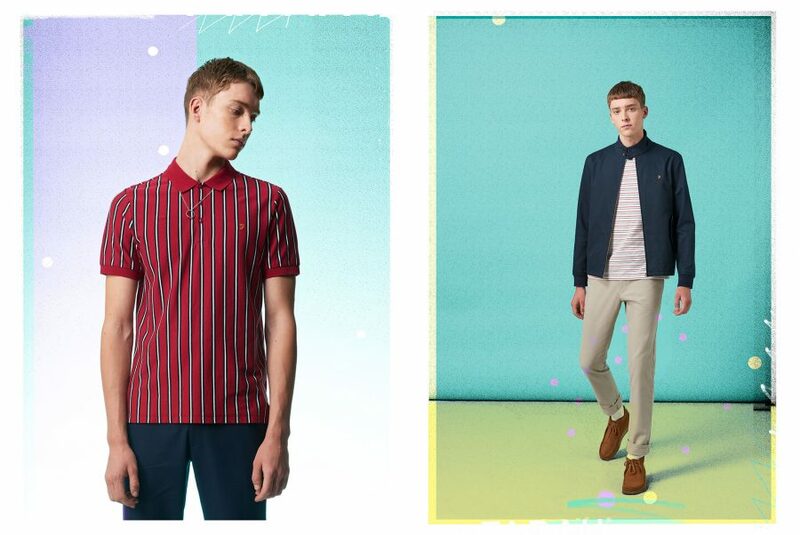 The explosive star print, which captures a club’s strobe lighting, is applied to rayon revere-collar shirts, while the ‘Farah scribble’ captures the signature graphic handwriting of the 80s and features heavily across tees, polos, shirts and shorts. SS19 tailoring is a collection of suit separates in rich summer hues designed to be interchangeable, offering endless mix-and-match opportunities. Complete the look with Farah’s latest category introduction – a carefully curated selection of patterned ties in knitted and woven variants. 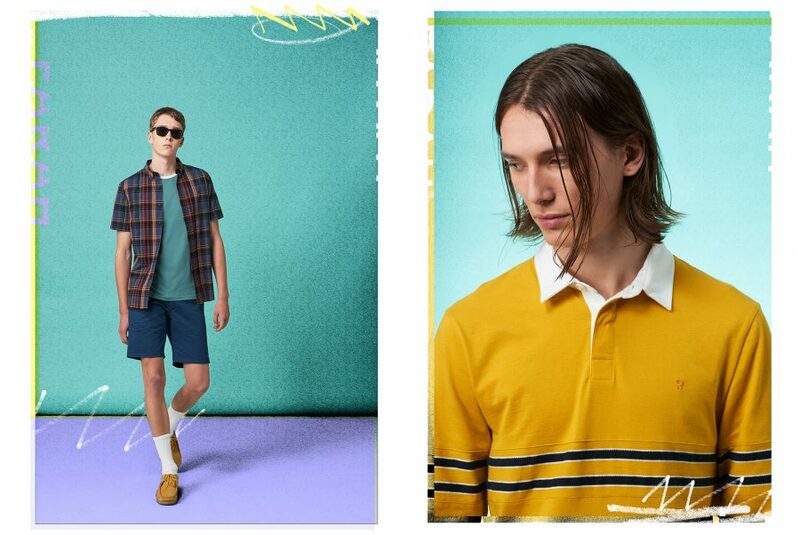 Looser silhouettes lend wardrobe staples such as shorts and shirts a new seasonal freshness. Denim benefits from the introduction of heavier washes that stir memories of the jean in its 80s heyday. Texture features throughout, with subtle but spectacular highlights including a single-colour navy seersucker 2SB three-piece suit and a burnt-orange washed-hopsack grandad shirt. 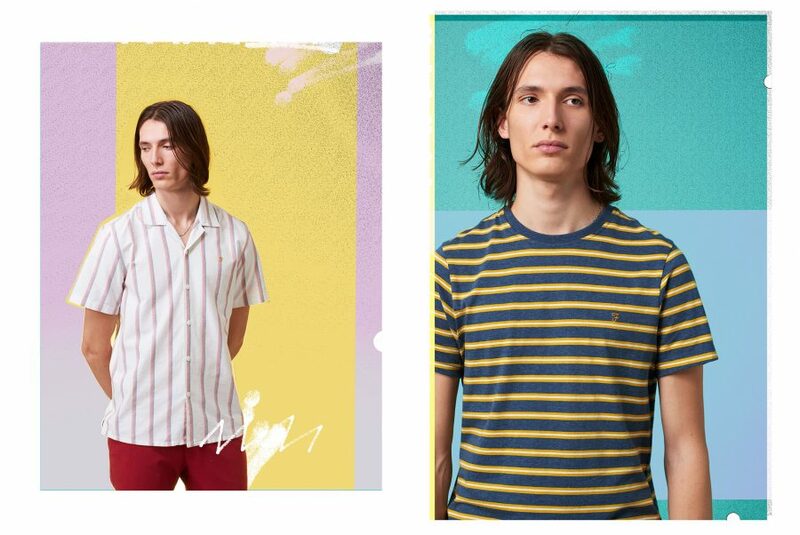 Other pieces of note include Farah’s iconic Brewer shirt in a light and mid indigo, which exemplify the laid-back dress code of the early club goer.